School of Applied Social Science won ‘School of the Year’ award for helping all of their students and improving their university experience! Dr. Carl Walker (Psychology) won ‘Inspirational Teaching’ for his ability to help students and make maths fun! Sophia Clarke (Applied Psychology and Criminology) won ‘Wellbeing Volunteer of the Year’ for being an outstanding volunteer for the union and helping deliver a number of wellbeing services and opportunities for our students! 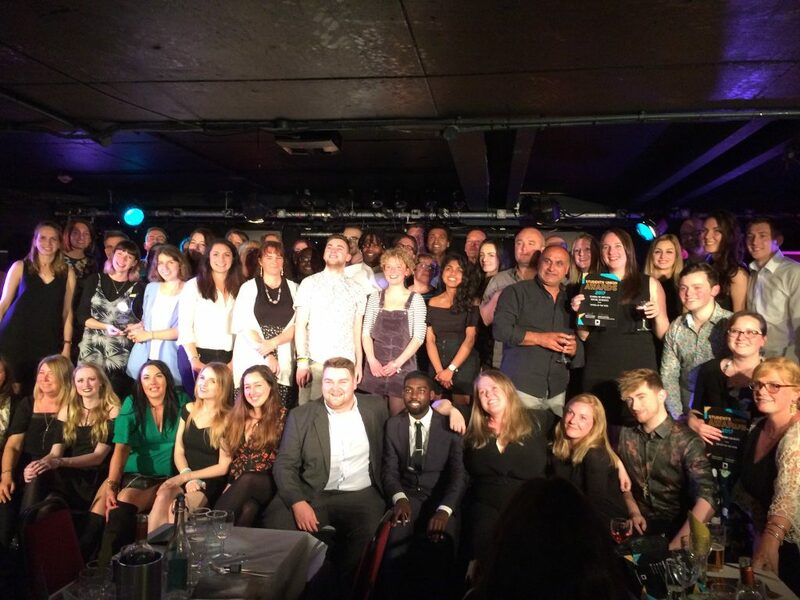 Student Mental Health Society won ‘New Society of the Year (Group). Although only just established this academic year – already it has created an outstanding offering for our students! Frances Sweeney (Psychology and Sociology) won ‘Student Staff Member of the Year’ for her brilliant work at @HiveCafeBar! Pete Engelsen (Politics and Social Policy) won ‘Campaigner of the Year’ for his work on the Sugar Tax campaign! 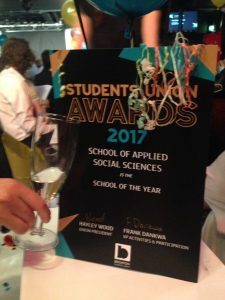 Sam Palmer (Psychology) won ‘Society Committee Member of the Year’ for his tireless work for the @UoB_LGBT – organising LGBT+ History Month! Dr. Julie Morgan (Psychology) won ‘Best Feedback from a Tutor’ for her fantastic feedback, with students praising her for helping their grades improve! 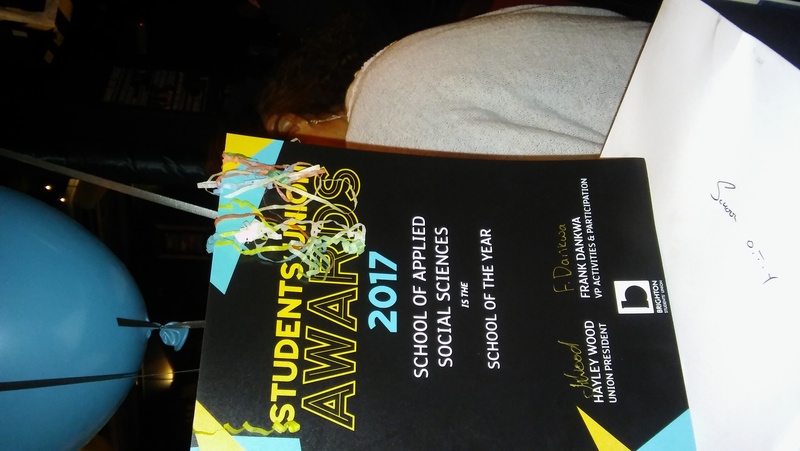 Congratulations to all the University of Brighton nominees and the winners! You make us very proud! Tagged 'Best Feedback from a Tutor', 'Campaigner of the Year', 'Dr Carl Walker', 'HiveCafeBar', 'Inspirational Teaching', 'New Society of the Year', 'School of the Year' award, 'Society Committee Member of the Year', 'Student Awards', 'Student Mental Health Society', 'Student Staff Member of the Year', 'Wellbeing Volunteer of the Year', brighton student union, bsu, Dr Julie Morgan, komedia, Professor Kate Bullen, student union awards, Student Union Excellence Awards. Bookmark the permalink.